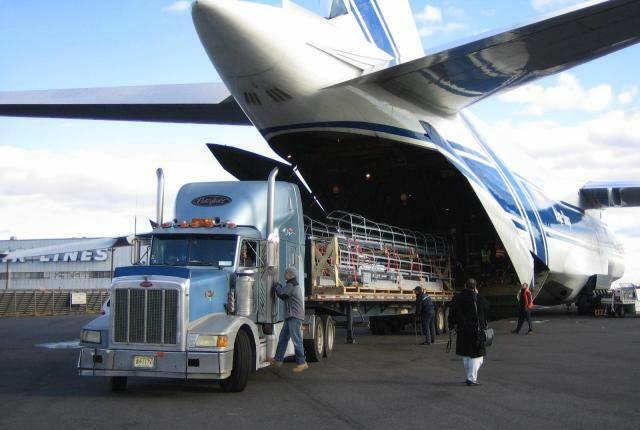 Air freight prices have spiked due to huge iPhone 5 demand, The Guardian reported on Thursday. According to "freight transport experts," the launch of Apple products is such a monumental occasion that they're mentioned in the Federal Reserve's Beige Book, which I suppose the Cupertino company should take as an honor? Overall, the popularity of Apple's handset allegedly "helped the air freight industry bounce back from the lowest prices," Matt Dixon, research manager of Drewry said. As a whole, the entire mobile industry has greatly contributed to cargo companies because of sheer demand. But it's Apple that takes most of the plaudits. "Only a few years ago smartphones weren't around, now they make up a huge part of air freight goods," Dixon said. "Apple are very clever at how they manage their supply chain and their ability to secure air freight capacity to launch new models is a key part of that strategy." The company reportedly demanded up to 70 jets in the run up to the launch of its latest iPhone, The Guardian said. That's a huge boon for freight business and represented as much as a 50 percent rise in profits for one Chinese delivery firm. It's a staggering statistic, and highlights the kind of affect a product launch has on other facets of the world in technology.